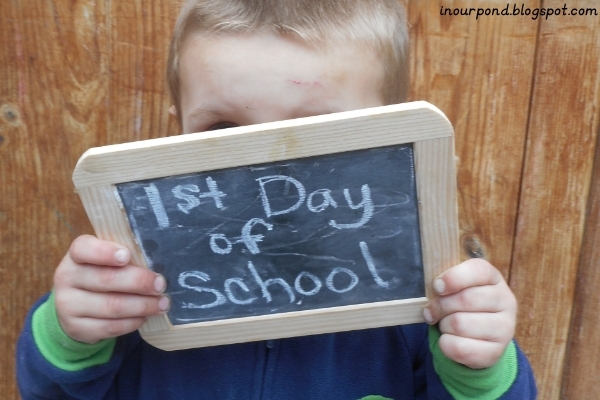 First, we took the "first day of school" pictures. This is Skimmer (age 3) in his footie pjs. 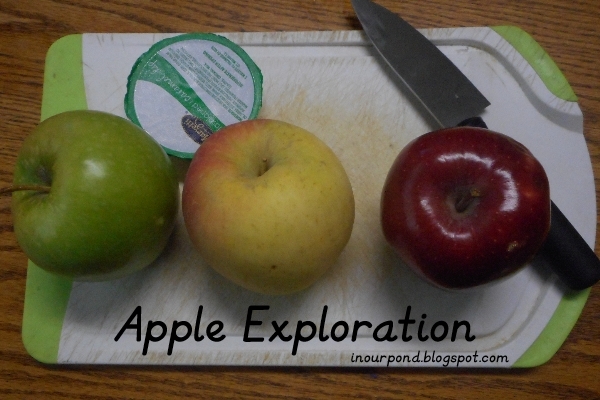 To start out of apple week, we explored three types of apples, a green one, a yellow one, and a red one. I cut them slightly differently so we could see the parts of the apple and the star in the core. We collected the seeds for words later in the week. The kids and I tasted all three of the apples by themselves and then I introduced them to caramel sauce. Dragonfly was begging me to let her start chopping apples and making the apple pie. 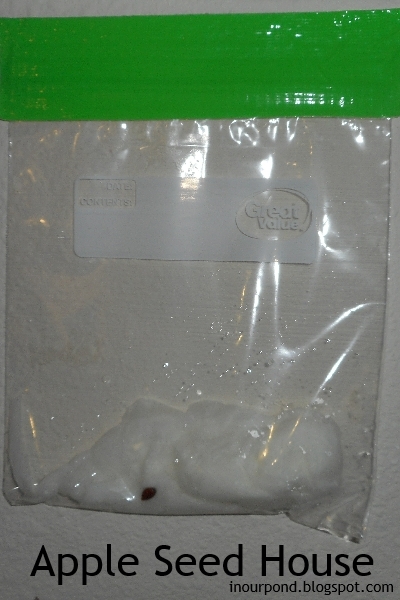 We planted one of our apple seeds in some wet toilet paper to watch it grow. Dragonfly was disappointed that an apple tree didn't sprout up instantly. I had to explain to her that some things take a long time to happen. While the other two were playing outside, Tadpole asked me if she could do some work. I set him up with a small bowl of water, a few foam apples, another bowl, and a spoon. 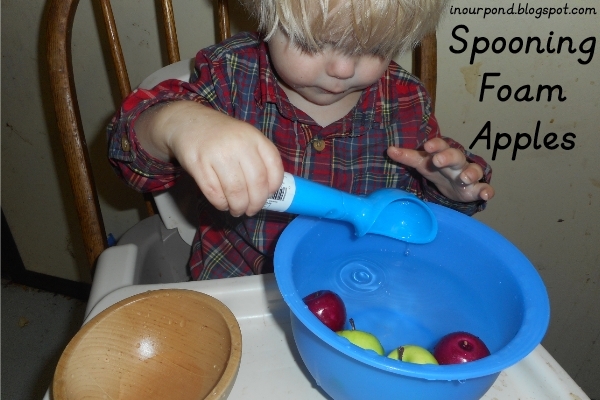 He really enjoyed transferring the bobbing apples to the other bowl. It wasn't very long before he figured out that the spoon would also hold water. On his own, he switched the "game" to water transferring. Smart kid. After dinner, I asked them if they wanted to do more Mommy School. They were excited so I cleared the table and set them up with new activities. 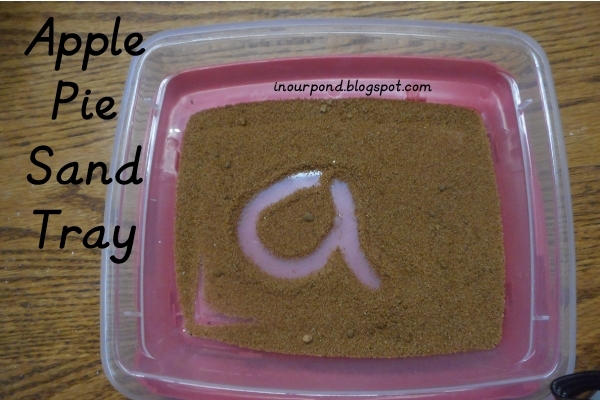 I gave Dragonfly the sandpaper letter "a" and the sand tray and showed her how to trace the letter and write it in the salt. She really enjoyed the "apple pie" sand, but had no interest in writing the letter or tracing the sandpaper. 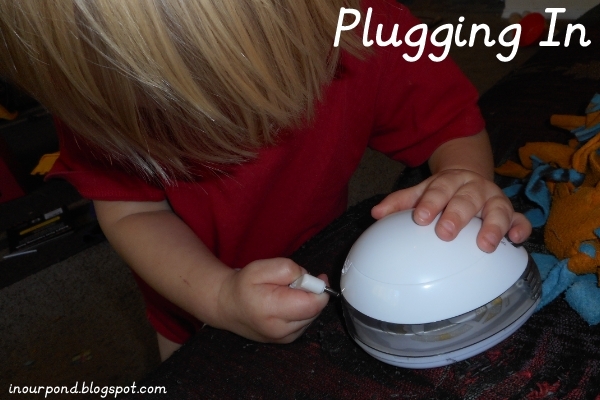 I learned to give her a sensory bin with apple pie seasonings (or perhaps play dough) and to wait on the writing part for a while. The first activity I gave Skimmer was the "good apple, wormy apple" sorting sheet. 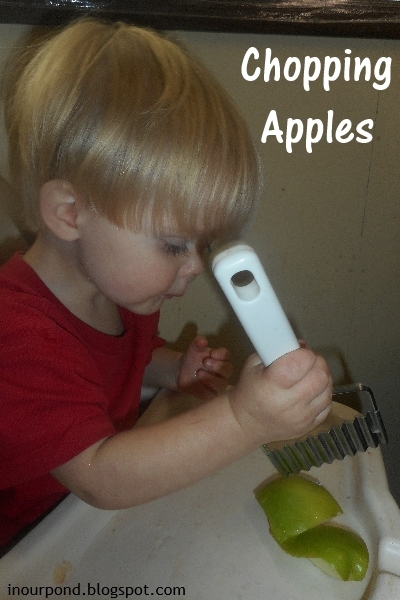 He could match that all the little apples were apples but he couldn't differentiate between the types (wormy or not). 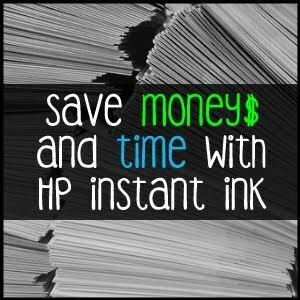 Next, I gave him an "apple colors" coloring book for him to do for his "Scribble Notebook." After he colored the 4 pages, I stapled it together and glued it into his notebook. I learned that I need to give Skimmer more coloring to improve his fine motor skills. Today was our weekly outing to Women's Bible Study at a church in our area. 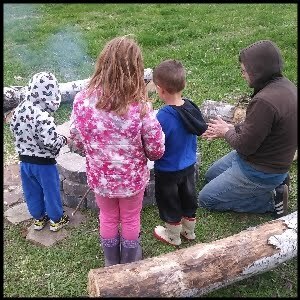 There were ten or twelve children there under the age five, so my kids got some good socialization time while I got a parenting break. We didn't do any other Mommy School today except that Dragonfly stamped a bunch of "letter ahs" on a cut out "a" with pink ink. 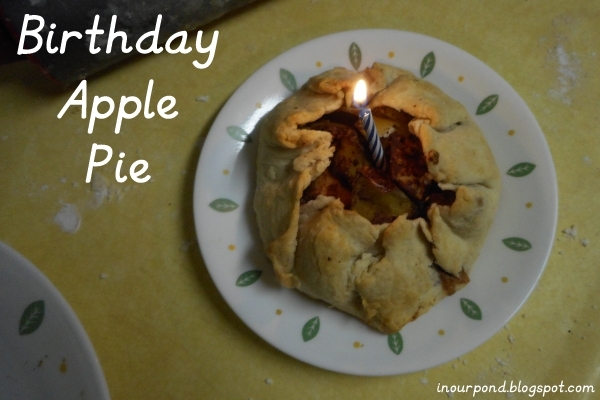 Today is my husband's birthday so the kids and I made him an apple pie! Here's Dragonfly using a real knife for the first time. No injuries! And here is Tadpole using a chopper. Tadpole is at the "let's make this work" phase of development. Here's a picture from him today, learning how to plug a cord into a device. 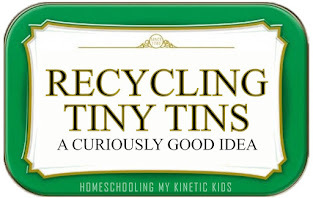 Books: "Red are the Apples"
"How to Make an Apple Pie and See the World"
"Life on an Apple Farm." 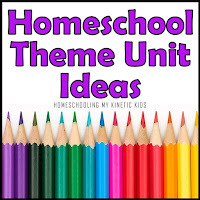 Thank you for linking up at Learn & Play link up party! 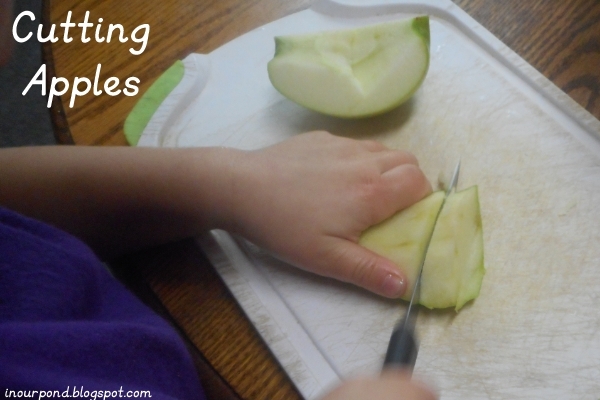 These are such fun "a is for apple" activity for kids. 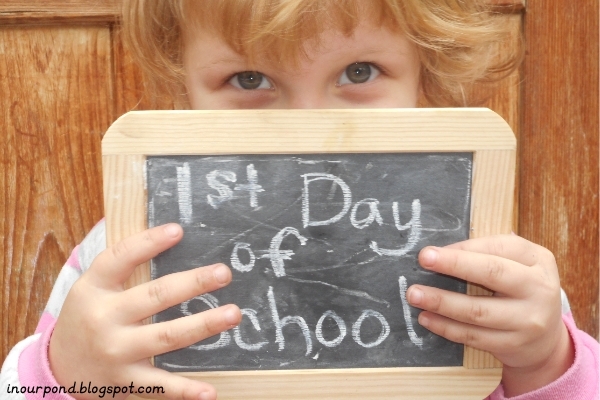 :) You have been featured on the Christian Montessori Network blog!